To read part 2 of this piece please click here. Swedish radical nationalism has undergone a process of normalization, much like its international counterparts. 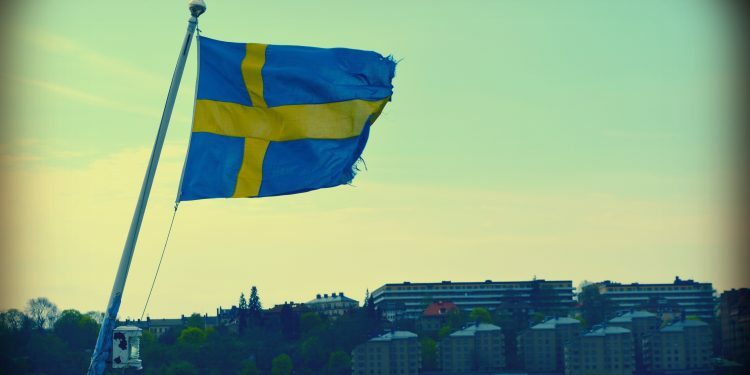 In Sweden, such a normalization becomes evident in the fact that, according to recent opinion polls, the nationalist Sweden Democrats have swelled to become the second largest political party in terms of support. However, parliamentary pursuits are but one aspect of a broader nationalist endeavor that transcends national boarders, and in which Sweden seems to be at the fore. In this endeavor, metapolitics, or the struggle for cultural hegemony, plays a central part. At stake lies the power to define the ideas central to political discourse, as well as the conditions of claims to truth. The following text, published in two parts, is concerned with certain aspects of this struggle, as well as the rhetorical-ideological shift that has taken place within the nationalist milieu – discussed in terms of a shift from barbarism to solecism. A failure to recognize this shift entails a misunderstanding of what it is that moves these movements, in what way the ‘right’ is uniting, as well as the relation between a politically divided society and a cultural struggle in which this state of division is lauded as progress. There are things that you are not expected to do and say as a political leader; words foreign to a presidential ethos that — when they are introduced — certainly qualify as rhetorical barbarisms. In this regard, one might be right in calling the language of Donald Trump barbaric. And perhaps it is precisely the unbridled use of barbarism that promises relief for those who see themselves as oppressed by the demands of political correctness. We might, however, suspend our judgement regarding the question of barbarism, in order to focus on another, more recurrent breach of style that Trump employs. In it, we also find an entry point for the discussion of a Swedish radical nationalism that in many regards seems to have postponed Söderman’s call for barbarism. Here’s the bottom line. We’ve got to keep our country safe. You look at what’s happening, we’ve got to keep our country safe. You look at what’s happening in Germany; you look at what’s happening last night in Sweden… Sweden! Who would believe this – Sweden! They took in large numbers, they’re having problems like they never thought possible. You look at what’s happening in Brussels, you look at what’s happening all over the world – take a look at Nice. Take a look at Paris. We’ve allowed thousands and thousands of people into our country, and there was no way to vet those people. There was no documentation. There was no nothing. So, we’re gonna keep our country safe. However, it is not primarily the way Trump phrased his reference that is of interest here. In Brainerd Kellogg’s textbook on rhetoric from 1888, a solecism is defined as “a construction at war with the grammar of the language”, and the solecism that Trump’s reference to Sweden revealed can indeed be understood in terms of such a conflict: a conflict of grammars, of the rules of public discourse, and the conditions of claims to truth. Before discussing the nationalist milieu in Sweden, it is worth turning to some of the characteristics of this conflict, for it is this very struggle that an increasing number of radical nationalists in Sweden, as well as in the United States, see themselves as promoting. Those critiquing or mocking Trump for his February reference to Sweden did so according to the grammatical norms of the historian; rules of correspondence between particulars, of certainties, and of factual truth. And from the point of view of factual truth, Trump was wrong: there had been no terrorist attack “last night.” Nor had there been any reports of immigration-related incidents that would suit that literal reference. For those claiming that “Trump is right” — as is stated in the title of a Wall Street Journal piece by leaders of the Sweden Democrats — the grammar employed was rather that of the poet: for them, Trump is not understood as pointing to particular events, but rather as telling the truth about Sweden generally, or even — prophetically. They emphasized that Trump had raised Sweden’s problematic experience with immigration, and pointed to riots in suburban Stockholm that occurred two days after the speech. In Aristotle’s Poetics, the function of the historian is to say what has happened, whereas the function of the poet is to articulate what could or would happen given a certain circumstance: that which is possible, in accordance with probability or necessity. This is the reason that poetry, for Aristotle, is more loving of wisdom and carries greater weight than history: whereas history expresses merely the particular, poetry tends to express the universal. Thus, the difference between taking Trump literally and taking him seriously boils down to the question of whether one employs the grammar of the poet or of the historian as the standard for judging his truths. This does not mean that the inauguration of Trump marks the entry of poetry into politics. Nor does it mean that radical nationalists are more prone to poetry than others. The rise of Trump’s popularity does however point to the fact that our societies are increasingly divided as to which grammar should be given precedence at what time, which truth claims should be trialed by history or poetry respectively, as well as who should be the rightful arbiter of such a decision. And this very division is lauded as progress in the struggle through which an increasing number of radical nationalists seem to be coalescing. The main inspiration for this struggle — which is indeed a cultural struggle — comes from the writings of Antonio Gramsci, and it is for this reason that a certain ambiguity in the use of the words ‘grammar’, ‘barbarism’ and ‘solecism’ is here employed. Writing from Mussolini’s prison, Gramsci often used concepts from linguistics as metaphors in his writings on cultural hegemony. In a passage that echoes the debates and musings that followed Trump’s reference, Gramsci describes normative grammars – of which there can be more than one — as being constituted by reciprocal monitoring and censorship: a communal practice of correction by means of questions (“what do you mean?”), mimicry, and mockery. According to a majority within the nationalist milieu, the control of the “normative grammars” at place in our societies has been conquered by the Left, and we are now living under a liberal-left hegemony. To these nationalists, the key struggle is, for this reason, a cultural or metapolitical one — imitating what they claim the Left has been doing since 1968 — underneath and beyond parliamentary politics: a long-term struggle […] of social transformation, fought on the level of worldview, thought, and culture.” A construction at war with the grammar of the language. Karl Ekeman, doctoral student at Uppsala University, Department of Literature. Quint. Inst. I.5 and D. L. VII, 59. Kellogg, Brainerd, A Text-Book on Rhetoric – Supplementing the Development of the Science with Exhaustive Practice in Composition, New York, 1888, p. 97. Gramsci, Antonio, The Antonio Gramsci Reader, ed. David Foracs, New York, 2000, p. 354.